As Vice President, Chief Security Officer (CSO) at MedeAnalytics, Cindi oversees global enterprise security. Her mission encompasses creating a culture that places high value on securing and protecting MedeAnalytics and the clients’ information entrusted to them. Cindi has built and matured both cyber and physical security practices at The University of Michigan Health System and Cerner Corporation. More recently, Cindi served as the Deputy Chief Information Security Officer at Blue Cross and Blue Shield of Kansas City. 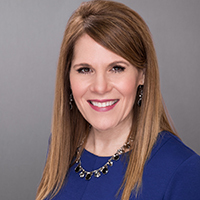 Cindi is the founding President of Women in Security-Kansas City, a non-profit organization with the mission to support women at all career levels in Information Security, and serves as an Advisory Board member within the security industry.